No Tricks, JUST TREATS – A Birthday Celebration and Halloween Party All In One! Save the date, because you’re invited! Costumes are encouraged! Keep reading and you’ll see why! Zingerman’s Candy Company will be hosting they’re Just Treats event and giving away free Milk Chocolately Karamel Crunch Bites to all guests who come in costume! And it’s not just the Candy Co. that’s getting in on this shindig. 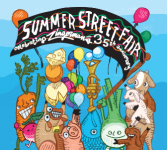 The other Zingerman’s Southside food businesses will be offering goodies as well! Zingerman’s Creamery will be giving all costumed guests a free scoop of gelato! Zingerman’s Bakehouse will give the first 100 costumed guests a free mini Ginger Jump Up Cookie or Bakehouse spatula. Zingerman’s Coffee Company will be giving the first 50 guests in costume hot chocolate shots! The store has a myriad of Zingerman’s own brand of candy and other confections as well as a curated selection of some of the best candies from around the world. 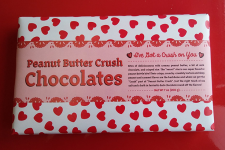 Zingerman’s Candy includes sweetly spiced peanuts, handmade chocolate bars, and a selection of different nut brittles, chocolate covered or plain!